Create amazing nature drawings with this drawing book designed to help you relax, concentrate and unleash your inner artist, one square at a time! 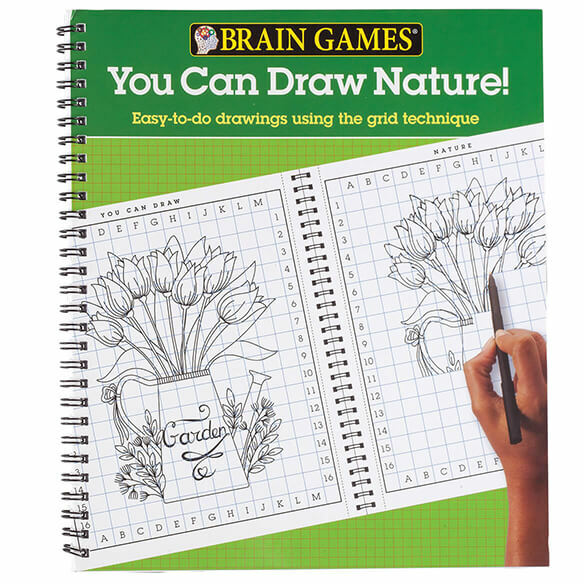 Using a grid technique designed to help keep eyes and drawing skills sharp, Brain Games® You Can Draw Nature! features more than 30 nature images ranging in variety and complexity, from black-and-white to color. 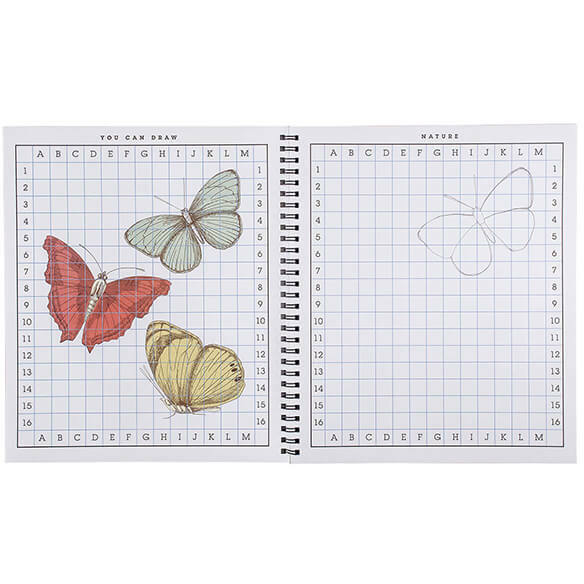 Each image is printed on the left-side page with empty grids on the right for you to complete your nature drawings. 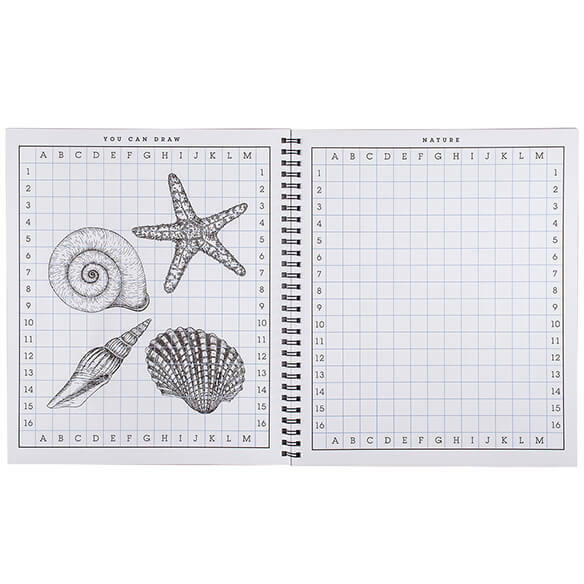 Simply locate the matching coordinates on each large, easy-to-see grid and draw exactly what you see in each square. Instructions and punch-out guide in the back of the book help you focus on one square at a time. Softcover Brain Games® book with spiral binding lays flat during use.